The celebrated Canadian soprano saxophonist is embracing voices again. But these voices are of a slightly different sort. The Creole Choir of Cuba is long gone to other things but Ms. Bunnett is back with an exquisite new ensemble of vocalists and instrumentalists named “Maqueque”, which means, as Ms. Bunnett’s short note on the CD sleeve points out, “the spirit of a young girl, in the ancient Afro-Cuban dialect.” Now it’s no secret that Jane Bunnett feels, deep down in her soul, that she has been reincarnated in a Cuban skin, at least musically speaking. Inhabiting this together with her remarkable jazz doppelganger, “Havana Jane” as she is often referred to, has assembled an impressive catalogue of this molten music that must surely be the envy of more famous media personages such as Ry Cooder and even Peter Gabriel. But that’s another story altogether. This one is all about Jane Bunnett and Maqueque. Here is further evidence that Ms. Bunnett’s musical ingenuity cannot be overstated. It shows in the craftsmanship of her compositions – she has four on this album – and in the genius of her playing too. As a soprano saxophonist and, indeed as a flutist as well, Ms. Bunnett occupies a rarified realm. In her saxophonist’s role, she explores the tone textures and timbres of her instrument as few saxophonists do. She goes deep into the recesses of the instrument to extract the purest of pure tones. Here she is reminiscent of her former teacher – Steve Lacy. This – along with her virtuoso flute playing – she has combined with various ensembles over the years. There are some fine examples of tunes that she shares with the group Maqueque, on this album, such as “Papineau,” “Tormenta” and the exquisite cover version of the Bill Withers chart “Ain’t No Sunshine When She’s Gone,” which features the glorious voices of Maqueque. This young quintet, brought together for this and (hopefully) other projects as well, should not be mistaken for simply a vocal group. They are that, of course, plus a lot more. Daymé Arocena is the lead vocalist of the ensemble, but Magdelys Savigne is an exciting percussionist as well as being a vocalist. The same holds true for Yissy García, the flamboyant, virtuoso drummer, and for “Yusa,” the bassist (and singer, songwriter, guitarist) who does not shy away from playing sinewy, growling lines. Dánae Olano is the ingenious pianist who comes to this group in the enormous tradition of Cuban pianists sitting on her slender shoulders. Célia Jiménez is another bassist in the group (and a fantastic bassoonist). Together they are a potent force: just listen to the bass, drums and piano on “New Angel”. And more than that, these girls are accomplished composers too. Small wonder then, that they give the impression they are veterans, which they are – this is just their first recording together. This is another great album produced by Ms. Bunnett’s long-time partner Larry Cramer, and it also features The Heavyweights Brass Band, who are returning the favor – Ms. Bunnett played on their last album, Brasstronomical. And The Heavyweights appear on “Song for Haiti,” really, the pièce de résistance of this record. Maestro Hilario Durán also wrote the string arrangements that can be heard throughout the album. He also plays a terrific piano solo on “Mamey Colorao.” Among the other guests is the beautiful and accomplished vocalist, Eliana Cuevas as well as her husband, Jeremy Ledbetter, who also plays melodica, as does the Cuban voice artist, Telmary Díaz. But this album belongs to Jane Bunnett and Maqueque. And what a stellar one it is. Track Listing: 1. Papineau; 2. Maqueque; 3. Tormenta; 4. Guajira; 5. Ain’t No Sunshine When She’s Gone. 6. New Angel; 7. Mamey Colorado; 8. Canto a Babba; 9. De La Habana a Canada; 10. Song For Haiti. 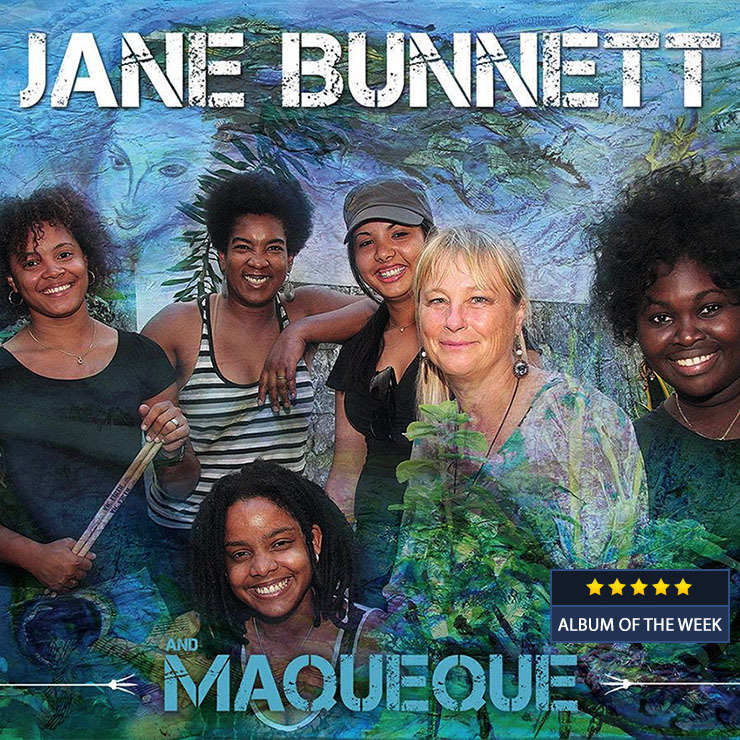 Personnel: Jane Bunnett: flutes, soprano sax, piccolo, marímbula, voice; Yissy Garcia: drums; Daymé Arocena: voice; Magdelys Savigne: batás, congas, percussion, voice; Dánae Olano: piano, voice; “Yusa”: fretless electric bass, tres guitar, voice; Célia Jiménez: electric bass, voice. 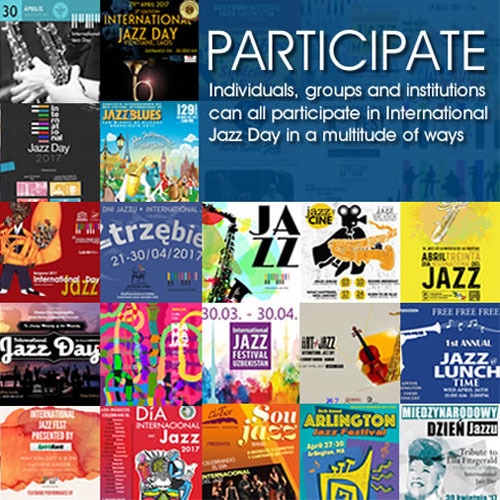 Special Guests: Eliana Cuevas: voice; Jeremy Ledbetter: melodica; Hilario Durán: piano on “Song For Haiti” and piano solo on “Mamey Colorao”; Telmary Díaz: voice on “Song For Haiti”; Heavyweights Brass Band on “Song For Haiti”; Christopher Butcher: Brass arrangements on “Song For Haiti”.